My team and I look forward to having you as our guest at Banyan Tree Samui. 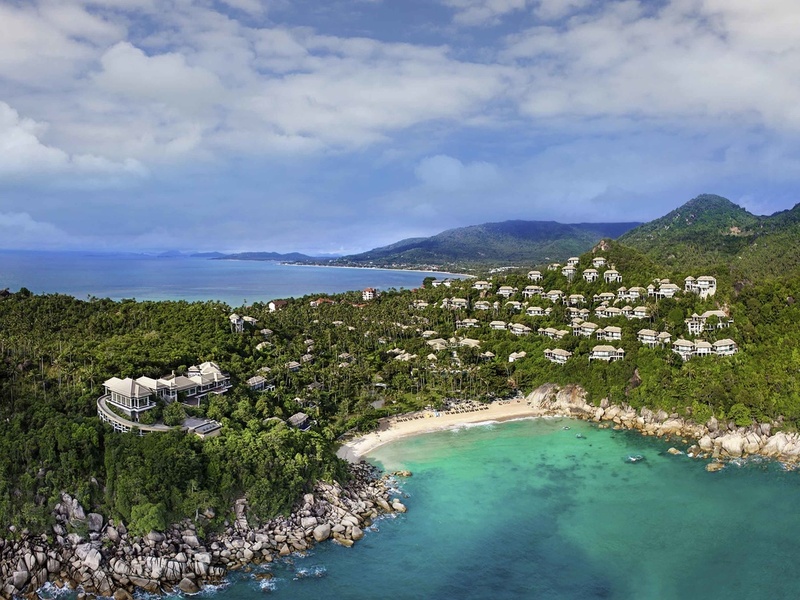 Overlooking the sapphire waters of scenic Lamai Bay, Banyan Tree Samui is nestled in a series of cascading terraces on a private cove on the Southeastern coast of Koh Samui. The luxury all-pool villa resort combines the best elements of a tropical getaway with a pristine beach, blissful spa escapes, bespoke dining experiences, locally-infused elements and an unparalleled view of the Gulf of Thailand. Banyan Tree Samui offers luxurious villas with private pools. A daring selection of authentic Thai with a touch of avant garde in a setting of understated elegance offering flawless views of Lamai Bay, Saffron gives you a choice of signature fixtures served alongside fresh innovations. Indoor and al fresco seating overlooking the entire resort and beach, The Edge displays a sumptuous array of international food for breakfast and lunch alongside a delicious à la carte menu. Dine in style with sand between your toes. Premier beach grill just the way you like. Sands opens for brunch through dinner with special treat on Sundays, where you are invited to our brunch extravaganza. A modern atmosphere for leisurely indulgent afternoon tea, the lounge also provides Thai and Western tapas and a selection of signature cocktails - including mixes unique to Banyan Tree. A selection of healthy sandwiches, extensive juice selection and an innovative list of carefully created cocktails formulated specially by Banyan Tree mixologists await you at the Pool Bar.